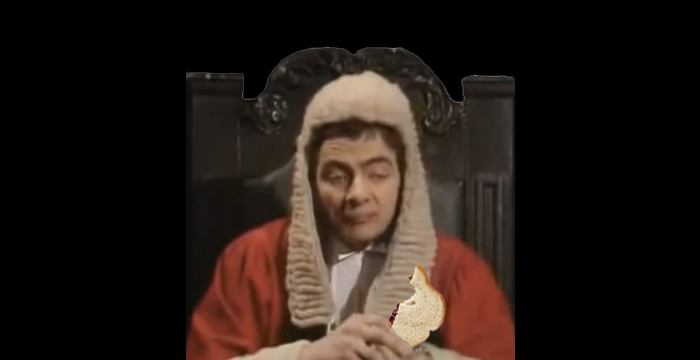 Research shows that judges make very different decisions depending on whether they’re hearing the case before or after lunch, the head of tribunals in England and Wales has said. In a recent speech at the University of Warwick, Sir Ernest Ryder points to “an evidential study of judicial behaviour… which examined over 1,000 rulings on applications before parole boards [and] came to the conclusion that decision-making differed depending on the time of day”. The Senior President of Tribunals was citing a landmark study on judicial decision-making in which eight Israeli judges were followed around for 10 months while they decided on applications to be released from prison on parole. They granted around two thirds of parole applications at the start of the day, but that proportion fell to near zero before the twice-daily food breaks. After eating, the proportion of prisoners released rebounded to two thirds again. But Cambridge graduate Ryder notes that “the point from this is not to feed judges more often”. It’s that judges are people too, and prone to irrationality despite spending a lifetime learning critical thinking. Senior judges have recently been at pains to show that the judiciary is made up of human beings rather than Oxbridge-y automatons in wigs. The Lord Chief Justice recently spoke out about the effect of online abuse, while circuit judges have taken to YouTube to showcase the benefits of applying to the bench. Press releases on judicial appointments tend to highlight whether new judges were state educated, or to mention that they were the first lawyer in their family. And if all that fails, we can always try robot judges. I’d like to think they were being ironic but that’d be giving them too much credit. ”the point from this is not to feed judges more often”. It is quite clearly the point. I’m not surprised at all – I feel so much better after I’ve shot out my morning load. Literally 100% better, no joke. back to basics, i dont know why this article is news! So a study of 8 judges in one jurisdiction and focusing exclusively on one type of hearing somehow becomes a globally applicable phenomenon to all kinds of judges? In addition the sample does not appear to be that big 1000 parole board decisions is equivalent to two weeks work on average in England (500 cases a week). This has been known (anecdotally at least) for years. It’s before my time but apparently it was even more pronounced in the days when judges would have a couple of glasses of claret with their brethren in the judge’s mess over lunch. Ah, those happy halycon days, when your appeal against a murder conviction (and possibly the rope) depended on the listing time and not such random imponderables as legislation and case law.